What’s the difference between a cheap gift and a frugal gift? For example, my Moby Wrap was a gift, and it’s a pricey item, around $50 at the time. But I used it every day of the first 6 months of 3 babies’ lives = less than 10c/day. I used it about twice, for $9 per use. It sat in my way and stressed me out many times, and I finally had to carry it to Goodwill feeling guilty all the way = further opportunity cost, so to speak, decreasing its value even more. I’d rather have one single gift in the former category for my birthday and Christmas combined (frugal gift) than 10 of the other kind from one person for Christmas (cheap gifts). Give me joy, not guilt! I’m ruthless about it, so you know my gift guide will be filled with only the cream of the crop, the items that last, the lasting use tools. 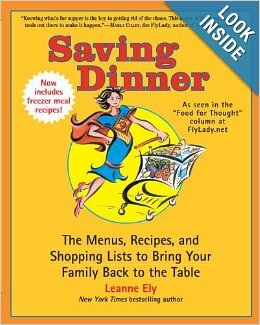 Since the mission of Kitchen Stewardship is to keep you healthy without going crazy, I’ll help you find items that will make real food easier or more fun, protect your family from environmental hazards, save you time or use your hard-earned dollars well – most of the time more than one of those! 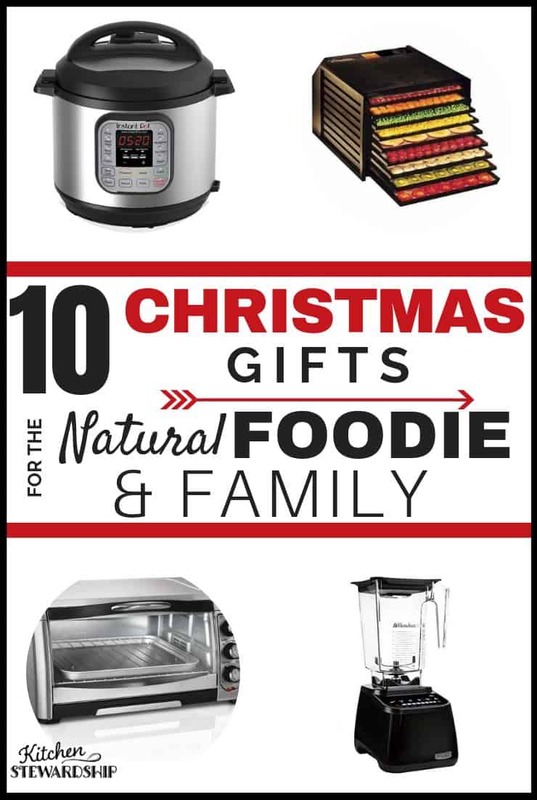 Whether you use this list to tell other people what to buy for you or to get inspiration for those who appreciate the practical, I hope it’s a gem for you. I truly believe these are the best basic kitchen tools & appliances that are actually worth the money. It’s not that I’ve gotten worse at meal planning over the years, it’s just that I’m so much busier! Total excuse. I’m SO much worse at meal planning than I used to be and it’s just that I’m not prioritizing it – but the Instant Pot saves me over and over again. 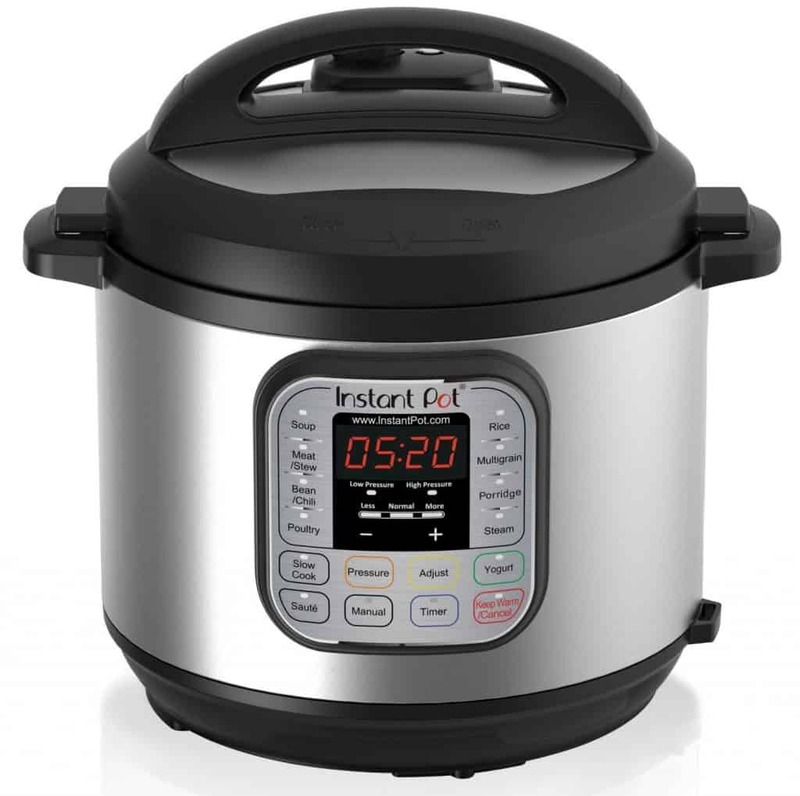 It’s a 7-in-1 electric multi-functional cooker best known for its pressure cooking functionality, but it’s also a slow cooker, rice cooker, yogurt maker, steamer & it can even saute or warm food. Phew! 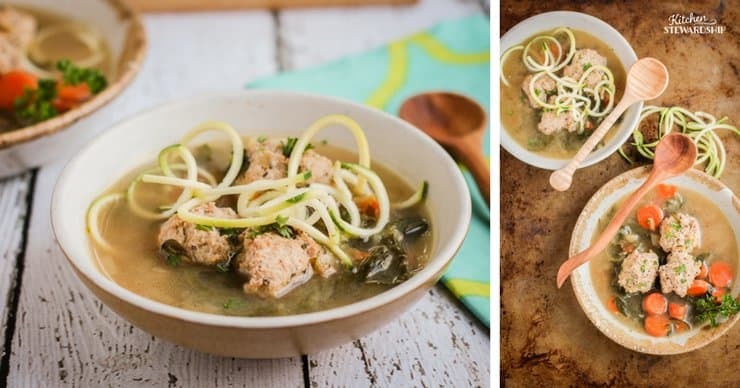 Besides saving me on slow cooker recipes that I think of at 3:00 (here’s how to adapt slow cooker recipes to the Instant Pot), my Instant Pot has done meats, gorgeous (and super duper fast rice, 3x as fast as my old rice cooker), and steamed veggies. I even leave rice in it overnight (off), poured in some milk in the morning and turned on a quick cycle and rice pudding, easy as could be. 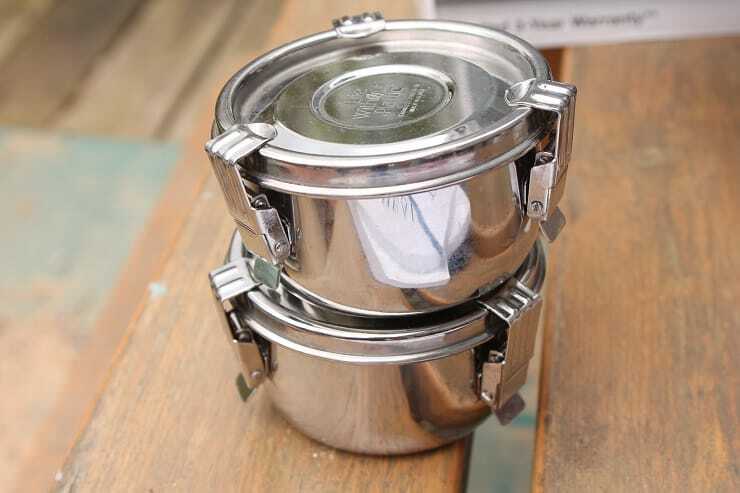 The best part perhaps is that the interior bowl is made of stainless steel, and if you’ve looked into materials for slow cookers or rice cookers lately, you know that there’s a lot of nonstick and ceramic (the question of leaching lead with ceramic is a big one). So for materials safety, functionality (did I mention it can even saute! ), and pure efficiency, this baby quickly became a favorite thing of mine (see all my recipes here). 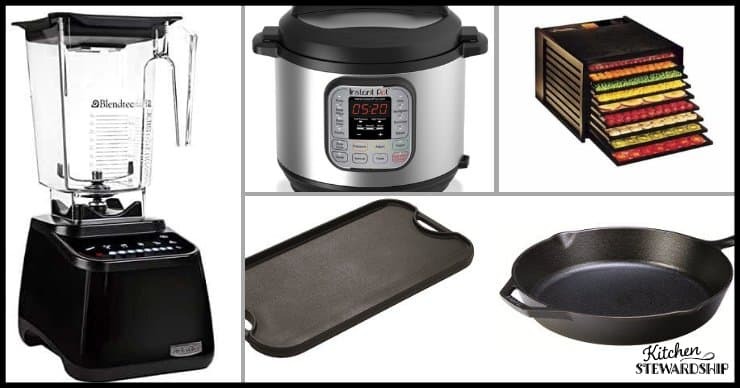 The world’s largest retailers now also carry Instant Pot, but YOU can get the best price today on Amazon.com. Hint: Amazon usually puts the IP on “deal of the day” once during December as well as during Black Friday time and 1-2x during the year for Prime Day. Set an alert using this handy free site and you’ll get an email when the price drops. Oh, how I wish I would have kept it! I’d use it all the time for bone broth and soup. My husband had to fix my mistake 10 years later with a new gigantic pot for Christmas. It’s certainly not something I use every day, but I do love to make a huge pot of broth or a triple or quad batch of certain soups or chili. 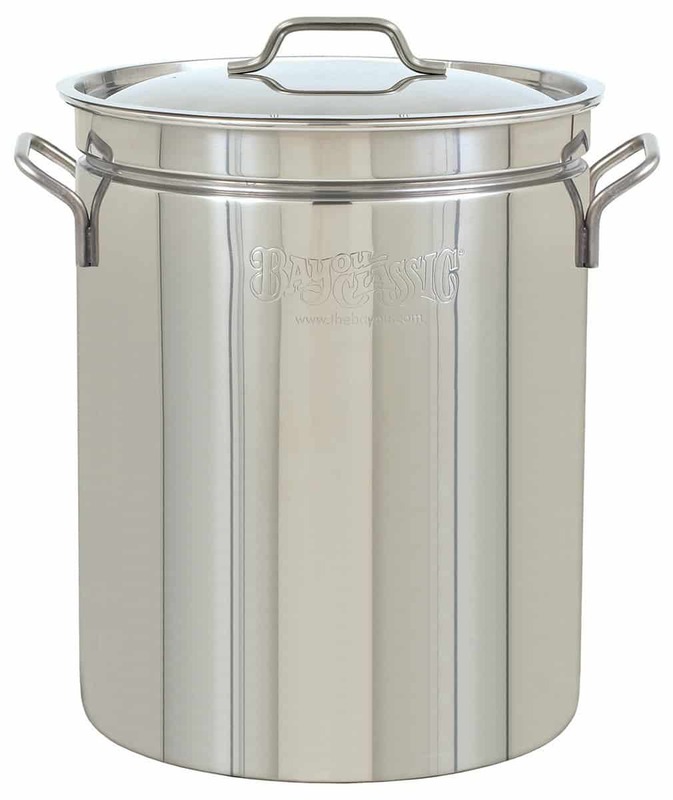 Bethany, a contributing writer here at KS, loves her 10-quart Cuisinart stock pot (recommended by America’s Test Kitchen) which she uses for boiling noodles, making soup, and making large-scale mashed potatoes for holidays. I am definitely not kidding when I say this is my favorite kitchen gadget with a plug – and it’s one of the least expensive ones I own! I use it all. the. time. 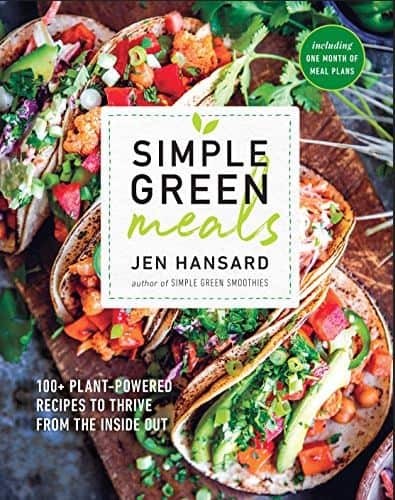 To make homemade guacamole, blend refried beans, soups in the pot, homemade applesauce, puree pumpkin, make homemade mayo, whip up pancake batter (especially this grain free pumpkin pancake recipe, which I’ll make right after pureeing the orange vegetable)…I could probably use two! It’s so easy to clean – just a quick rinse if you’re going from one food to another and then toss the business end in the dishwasher at the end of the night. Compared to a big blender with its many parts, this is child’s play. Speaking of – my kids of course adore it as well. When you’re talking frugality, something you could actually pass on to your children through generations takes the cake, no matter how much it costs at the outset. 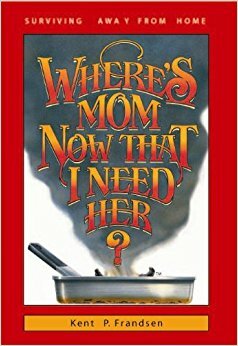 We use our cast iron so much, they don’t even have an “away” place to go because they’re always out on the stove. even reheating leftovers for lunch! AND it goes into the oven as well and is an incredible surface for gluten-free flatbread (includes video! ), homemade pizza, and biscuits. More on how we use our cast iron griddle in my review! 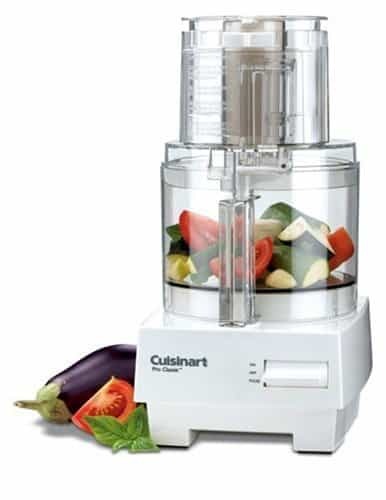 Mine is nothing fancy and gets a lot of heavy jobs done – it is a Cuisinart like the one linked to on Amazon (image above), but I bet this larger 10-cup Hamilton Beach number can do a great job for less money. Gasp! Did Katie really just insinuate in that heading that a Blendtec is on an equal playing field with “just any old blender?? ?” Yeah, kind of. We’ve had a Blendtec since 2012, and in my initial Blendtec review I wasn’t incredibly glowing. After years of using it a few times a week, I really do like it. It holds up. 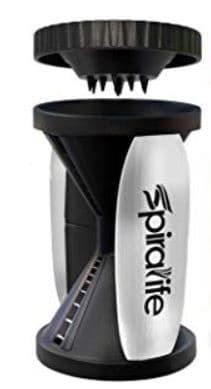 It does an incredible job with smoothies, so much so that I’m probably spoiled and wouldn’t be able to go back to a regular blender. But is it $500++ worth it? That’s where you have to ask questions. I don’t think you necessarily need a high-powered blender for $500 and up, unless you feel you must make homemade nut butters, grind up lemon peels in your smoothies or grind flour. Truly, there are some recipes that can only happen in a high-powered thing like Blendtec or Vitamix, and some people swear by them. Personaly I haven’t found it to be a necessity, especially if you want bang for your buck. If you’d use it multiple times a day, go big and enjoy every second. Otherwise, just grab a blender of some sort (I’m just linking to the whole search for the word ‘blender’ on Amazon for this one, because I don’t know what to recommend). If it’s not even something you have yet, you’ll want to find out how often you might use it for normal, non-high-powered needs before considering investing in a big dog. This Hamilton Beach (pictured) and Oster both have good reviews and decent bells and whistles. You could do a lot with these machines! In 2017 the most-mentioned kitchen tool as a FAVORITE of big food bloggers was a high-powered blender. 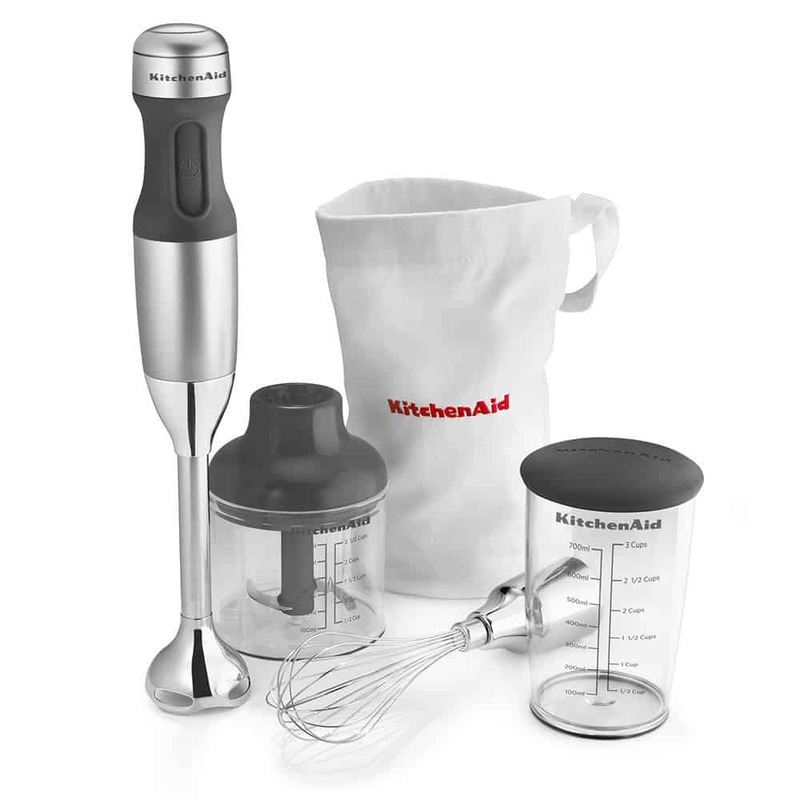 Tip from The Blender Girl, who would know if anyone does – the KitchenAid Pro Line Series blender is now the most powerful blender on the market. I have Pampered Chef brand stones and vouch for amazing quality. A few years ago I read up on Amazon’s offerings and wasn’t impressed, so I bought another PC brand stone. 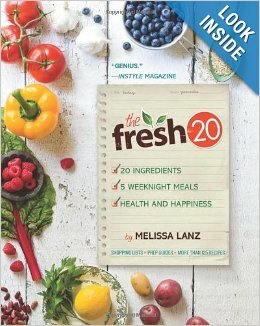 Now there are a wider variety of options with better reviews and even some Pampered Chef options via Amazon, so they’re worth perusing. 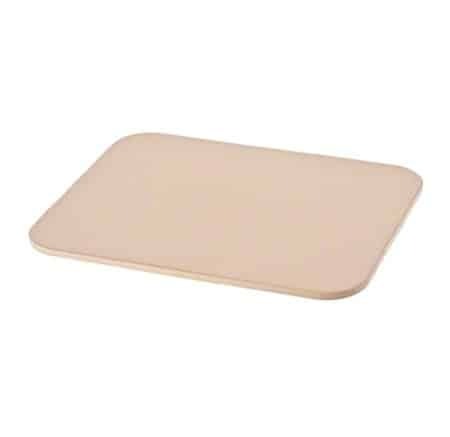 When I talked about how to clean wooden cutting boards, I mentioned how often I use these items. Probably more than any other in my kitchen. My knife is the ONE ITEM that I use every day, 50 times a day. 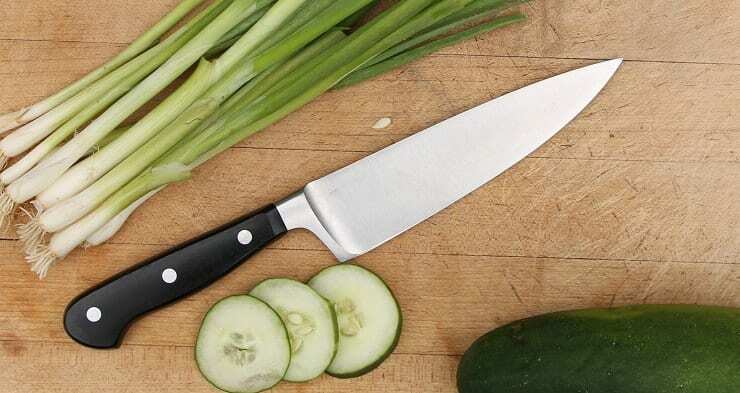 I’m constantly chopping vegetables, and I’m never without my big chef’s knife (unless my son is snatching it to chop veggies; it’s his favorite too!). I have a Wusthof Classic 6-Inch Cook’s Knife, although it’s always worth price-checking with the Wusthof Grand Prix II 6-Inch Cook’s Knife. My wooden block is a Boos brand, which are (whoa) pretty expensive – thanks, Mom, for getting this one for me for Christmas! I realize those don’t seem frugal, but when I consider how blissfully happy they make me and how darn much use they get, I can’t imagine not having either. There is a much more economical option for knives though – the Victorinox brand is very highly rated by America’s Test Kitchen and also members of the staff at KS. They sell a small-ish chef’s knife that is perfect for little hands (your kids) and a very inexpensive 4-inch utility knife that is a workhorse in many kitchens. Members of our kids cooking ecourse, Kids Cook Real Food, have grabbed the Victorinox brand from our kids cooking tools resources page (including one 2nd grade teacher using the course with her whole class) and give rave reviews! We’ve had two toaster ovens, and both are indispensable for what they do for me, but I have no love for either. My first, a Cuisinart, had excellent features but was buggy and died too quickly for my liking. The new one, purchased quickly out of necessity when the former died an early death, is an Oster and has some features I absolutely dislike. For example, there’s metal on the door that conducts heat (ouch!) and dials that children aren’t strong enough to turn. NO non-stick on the interior – this one is very hard to find. In fact, a few toaster ovens that I used to recommend have non-stick interiors, and to me, it’s just not worth the potential risk if it gets up to 500F. 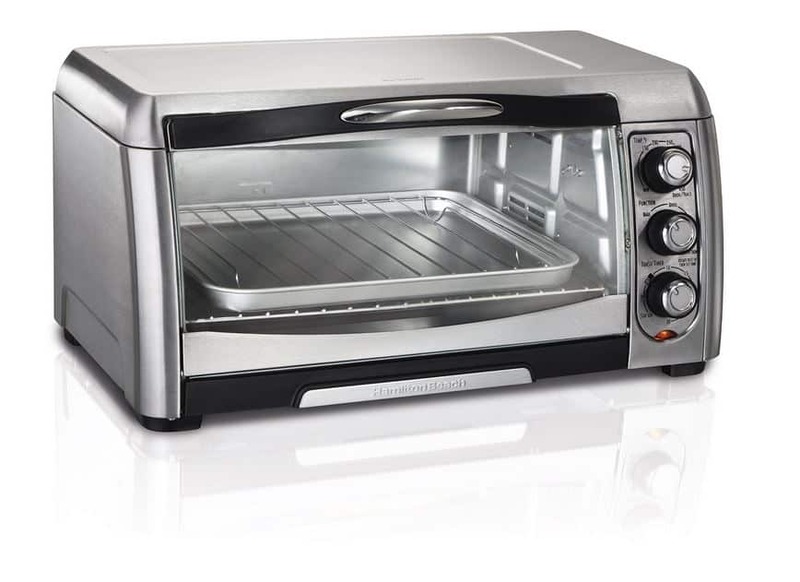 This Hamilton Beach toaster oven checks all the boxes and has good reviews and a reasonable price, so I feel pretty confident in saying it would be a good choice! Sometimes I’m not sure if the dehydrator is worth the space, but I do use it a lot. If you want to have a raw foods lifestyle, preserve a lot of seasonal produce, make crispy nuts, or beef jerky, it’s helpful and nearly necessary. Although you can do a lot of the same things in an oven, many ovens don’t go below 170F and thus will kill enzymes (not “raw” foods), and sometimes you can’t tie up your oven for 12 hours and still survive the day! 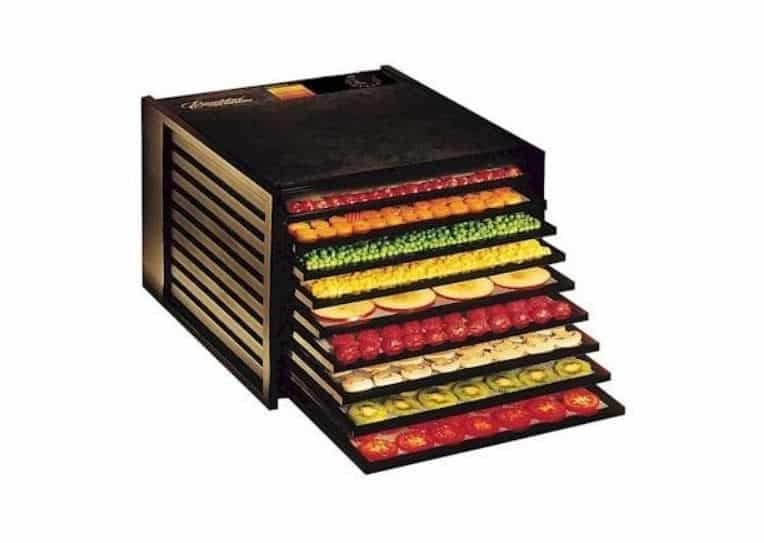 I happen to have an Excalibur dehydrator, but there are less expensive options. Check out my comparison dehydrator review to help you make your decision. And if you do grab one, learn EVERYTHING one can possibly do with a dehydrator, even making shelf stable stock, from Wardee at Traditional Cooking School (a membership makes a sweet clutter-free gift!). We use zoodles pretty often, so I have to recommend this spiralizer (our fav for sure of the two we’ve tried). Click for more on how it works and what to do with zoodles! From basic baking to pulling my yogurt jars out of the boiling water and managing to can tomatoes without killing myself, these babies are constantly busy around here! The versatility of having all your fingers available is priceless, and we found that these are much safer for kids’ hands than the big “mitten” style mitts too. Easy to find, if you want to buy real lettuce in bulk, this little baby is indispensable. You can cut lettuce fast to store for a few days and prevent brown edges. Pair with a Salad Spinner for maximum output! Here’s my ode to salad prep. This one was a late addition to the list, but when I thought about the ONE ITEM that I use every day, 50 times a day, it’s my favorite knife. I’m constantly chopping vegetables, and I’m never without my big chef’s knife. 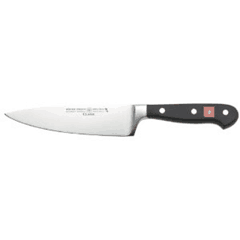 I’m considering asking for a fancy brand like Wusthof that friends who really know how to cook have recommended to me, and I saw this Wusthof Classic 6-Inch Cook’s Knife or Wusthof Grand Prix II 6-Inch Cook’s Knife. My sister-in-law found this fun toy for my birthday this year. I’m sure it’s mainly for making drinks, but I’m telling you: I can now make my homemade Italian dressing in about 2 minutes. I store it right in this baby and love it! The best part is that it’s glass, so it’s really easy to wash the base in the dishwasher. 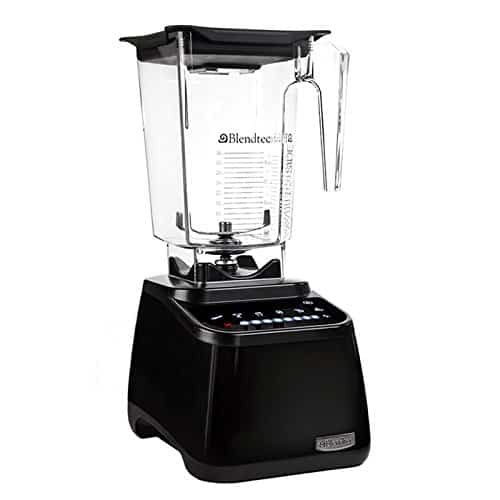 blender is pretty junky – the blades are not sharp at all – and I wish I had a new one. I use mine a ton for homemade tortillas, homemade biscuits, and homemade crackers. It even is a great tool to help kids make egg salad! This tiny, very affordable spiralizer makes it a cinch to “zoodle” a zucchini or 2 for dinner, and kids can handle it too. I tend to reach for this one a lot more than my big spiralizer! One note: Clean it up right away so food doesn’t dry on. When a stirring tool gives me permission to leave it in the pot without worrying about it melting, I’m a happy girl. I love my wooden spoon, but I also love my spoons that can’t stain with tomato sauce. I have two High Temp Solid Silicone Mixing Spoons that are always in business. Tongs are such a simple pleasure. I thought I liked the ones we got for our wedding – until this set arrived. NO pinching fingers in the hinges, NO burnt hands because there’s silicone on the handles if you’re smart, and NO big mess on the counter when people don’t use my spoon rest. Plus they’re dishwasher safe with no sign of rusting after more than a year of heavy use. I love the 2 sizes as well! Note: Sadly the exact brand I have is unavailable this year, but I’m 99% sure the ones I found are exactly the same. Here is another color or a 3-pack. I cannot even begin to tell you how often I pull this out of my purse! A quick dollar store run, when I don’t bring enough reusable bags from my van for a grocery trip, to hold kids’ stuff that they didn’t bring a bag for, and especially when we travel by airplane, for towels at the pool and just about everything else we carry once we’re at destination! Tons of styles in the brand I have, plus see some others in this “take your own food to Disney” post. It’s so exciting to see reusable snack and sandwich bags becoming more mainstream for packed lunches and snacks! Check out my full review for all the details on over a dozen brands, but this one is our favorite because it has zippers (multiple styles on that same product, look at the right hand side), plus this brand is the second favorite, with Velcro. Kids love it when containers for food look fun! We use containers like the ones in the photo every single day for all of our kids, plus bento boxes too. the stainless steel lasts forever, so it’s a very worthwhile investment. The easy lock watertight containers are amazing! Read more about why we love these and our other lunchtime favorites at the full bento box review! 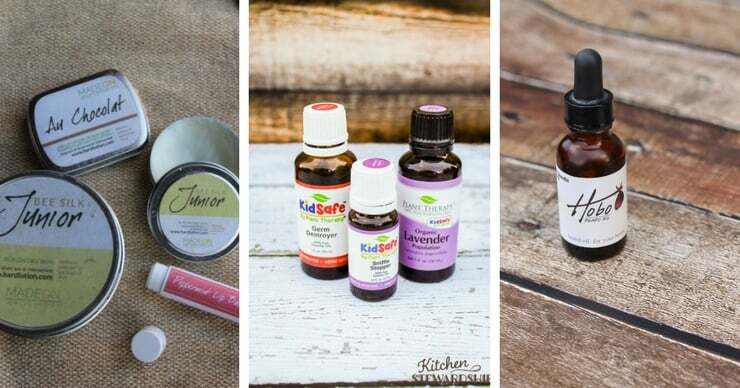 These are a few of the gifts that I keep going back to over and over for young families, and I can’t leave them out of a gift guide! Advent Storybook: 24 Stories to Share Before Christmas :: We’ve had quite a few years enjoying this book now, and I don’t think our oldest will ever be too old to enter into the magic and joy of Benjamin Bear. I cannot recommend this book highly enough! What’s Eating Your Child? 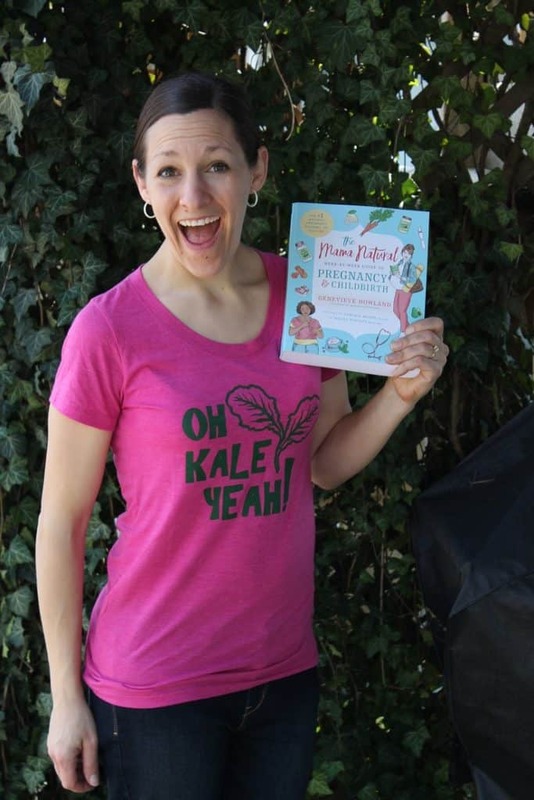 by Kelly Dorfman :: I can’t stop recommending this book to anyone whose child has unexplained behavior and attention problems and/or picky eating/digestive issues. It’s easy to read and ground breaking for most people, especially those eating a Standard American Diet and not connecting food with health automatically. Get a copy for yourself so you have it to lend out. I broke it down and interviewed the author here. Organic crib sheets and organic mattress pad :: Boring, I know, but they’re oh-so-soft, and it makes me happy to know my babies are sleeping on organic – Leah and John both have these sheets. Happiest Baby on the Block book or DVD :: Saved our sanity having watched this DVD when we were expecting our first. We have an hour-long CD of a hair dryer that we use all. the. time. 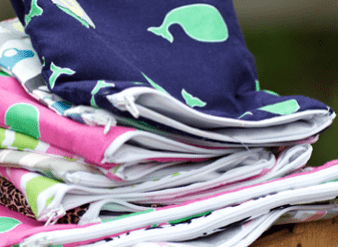 Aden & Anais swaddle blankets :: Also sanity savers, and so thin and nice for nursing covers in the summer. 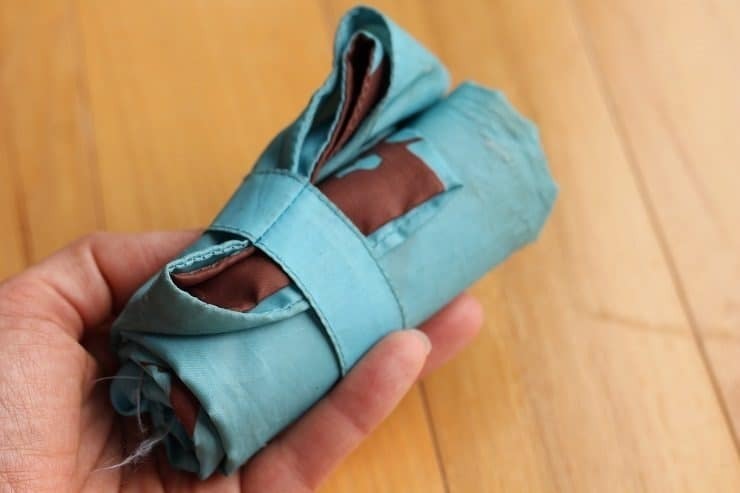 We still use these as sheets for our 1 and 4-year-olds. Moby Wrap (Also in organic) :: If I only had one baby item in the world, it would be this one. You’ll see how much I love it in my how to wear a Moby Wrap videos. In a world where hundreds of books are published every day (maybe thousands?) it can be overwhelming to find the simple ones. 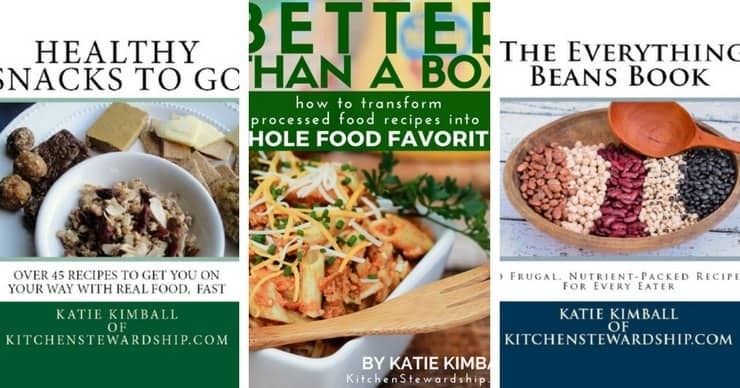 A while back on Facebook I shared a reader question about great basic cookbooks to buy for college students and newbies to real food, and when I asked others’ advice I got such a great list of books and had to share with you, along with my personal favs! You’ve probably heard me reference a recipe from my well-worn copy of the Nourishing Meals cookbook if you’ve been around KS long enough, and now Alyssa has come out with a new edition: the Nourishing Meals Cookbook deserves to be a staple! 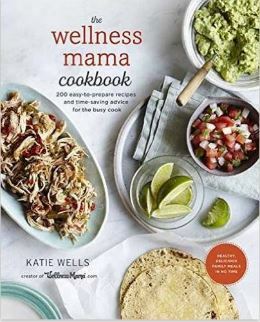 The Wellness Mama Cookbook from my friend Katie is an incredible value, so many family-friendly, 100% real food recipes that we use and share often. A New Find! 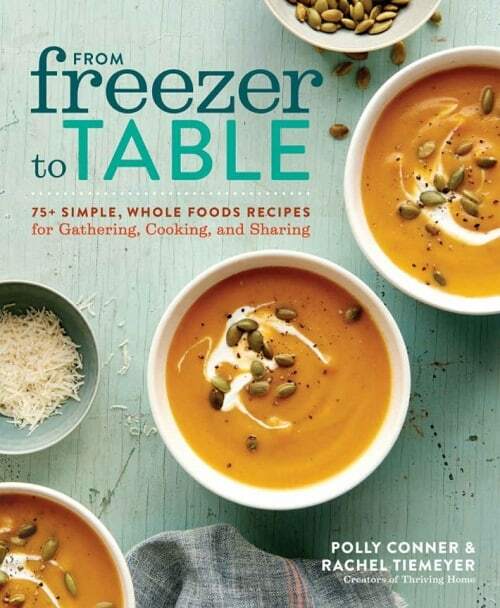 From Freezer to Table is the perfect real food answer to freezer cooking, and I’m already putting Post-Its on a lot of pages of my review copy. Rachel and Polly came to freezer cooking out of desperation and have made it into an art form, and their popular blog is a testimony to their down-to-earth style that I know KS readers will appreciate. Crock On! has just been one of those books that comes out at least twice a month, and in a world of online recipes, that’s saying something!! It’s sadly only available in Kindle now, but it’s worth it!! 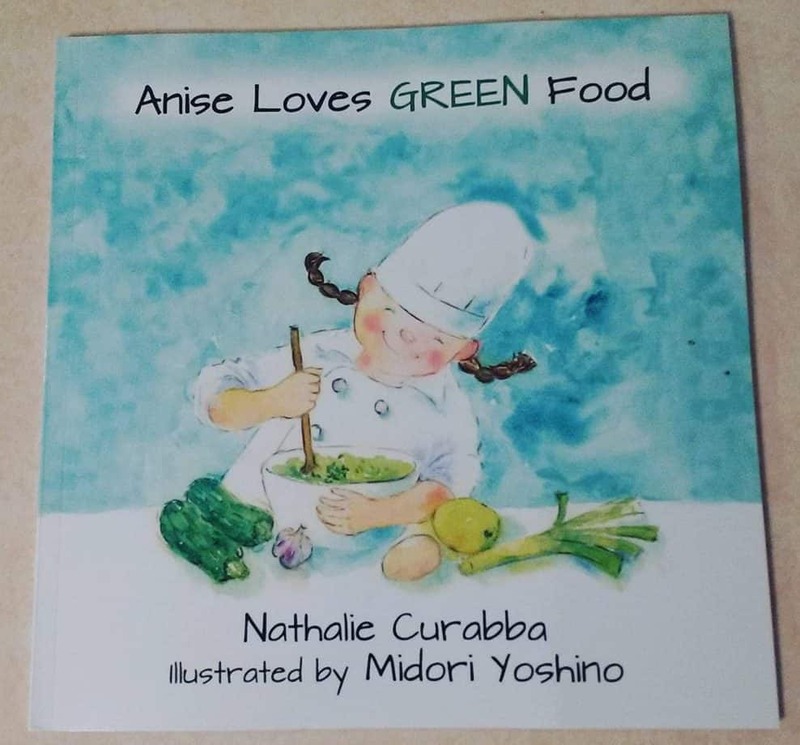 Anise Loves GREEN Food is a kids’ picture book about a little boy who loves to draw and his sister who loves to cook, a lovely story with interesting recipes too! Leah has made almost every recipe in the book, we love it so much! 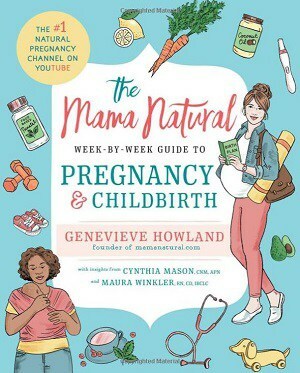 The Mama Natural Week-by-Week Guide to Pregnancy and Childbirth is truly the crunchy answer to “What to Expect” – my friend Genevieve is an amazing researcher and storyteller, and every topic you could imagine is covered in this comprehensive resource. There just aren’t even enough words to use to tell you how incredible and necessary this book is! I bought 5 for our midwife’s office the second it came out, just to give you some small idea. The 4.9 star rating from 464 people (as of 11/21/17) gives you another idea! 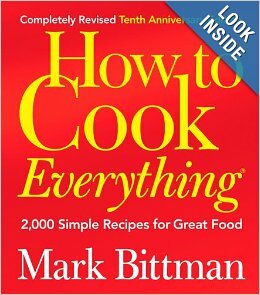 Katie note: Mark Bittman is great, has a blog, wrote for the NY Times and has tons of books. A newer book, VB6, is kind of intriguing. This book is also available on Kindle. 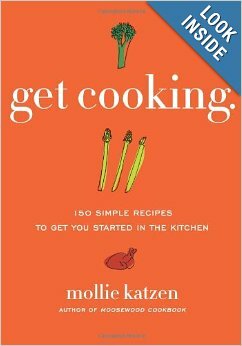 From the KS team: One book on my Christmas list is a newer but similar title: How to Cook Everything Fast. Can’t beat using fresh ingredients to get a meal on the table quickly! 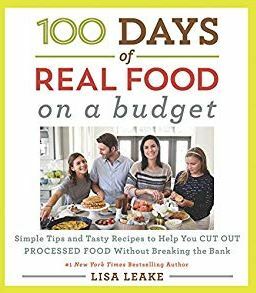 Reader note: While not always entirely real-food, there are helpful substitution lists, conversions, etc. Note: Using just 20 organic, non-processed ingredients per week, home cooks can create 5 wholesome, delicious meals in just minutes. 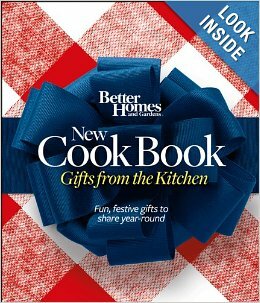 Includes shopping lists, prep tips and more. 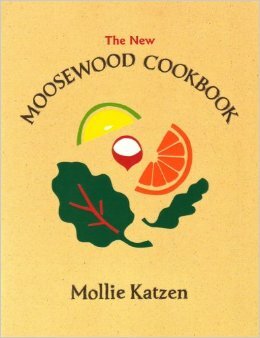 Katie note: I’ve had the pleasure of working with Melissa Lanz, the author, and you can be assured that this cookbook is 100% real food and doable. 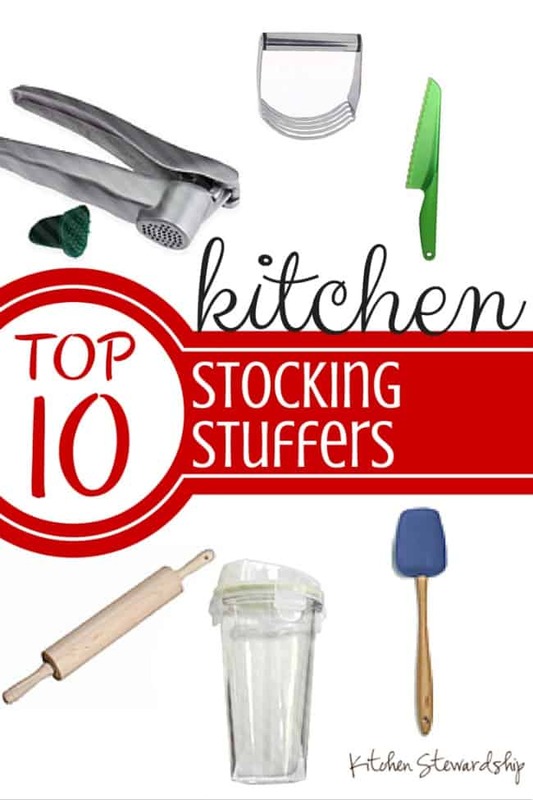 Gorgeous recipes and what a cool concept to help streamline shopping! Reader Note: Even breaks down how to boil an egg! 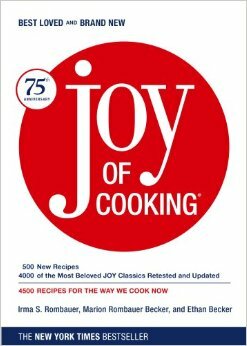 Reader note: Important recipes/techniques that used to be handed down but aren’t any more. Pioneer Woman LOVES her books. 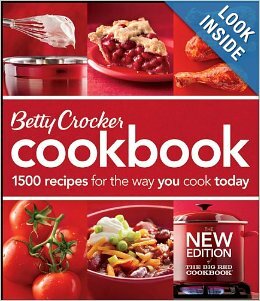 Reader note: A great cookbook for people who are just starting out and want to make good food. 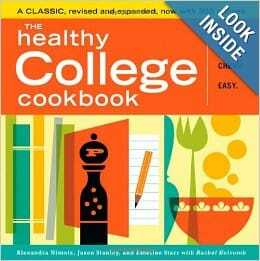 It really helped me to gain confidence with my cooking. I always buy this as part of my wedding gift or bridal shower gift for someone. I really think it’s excellent! 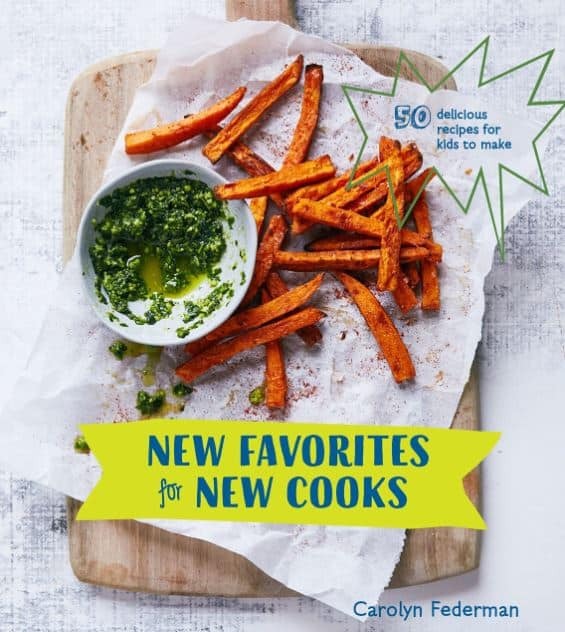 You can always find all my up-to-date personal favs for the home on our Resources Page and the guide to children’s cooking tools that we keep updated for our Kids Cook Real Food eCourse members is a gem! 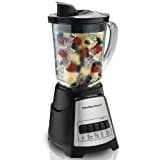 About blenders, popular mechanics did a YouTube blender review that’s interesting to check out before you buy. Another useful kitchen tool: collapsible steamer basket. Love my kitchen aid stand mixer we bought with wedding money 25 years ago. Sadly after being rebuilt twice it will need to be replaced soon. Won’t hesitate to buy the same again. Use it all the time. bread. Pizza dough. Cookies. Just to name a few. Usually 2 to 3 times a week. For 25 years!? No wonder it’s tired.! Beware…the newer KA mixers are not near as good as the old ones 🙁 I got rid of mine about a year ago, before it died from WW bread, and upgraded to a Bosch. It’s not as hand for liquid-y batters but WAY better for dough. Read up on the plastic gears, etc…before you buy KA again. Of course, it depends on how you plan to use it……cakes, cookies etc….are less taxing than WW dough and tough stuff. I have a Bosch with all the attachments, use the processer and blender daily. Great list! sorry, the last comment didn’t go away. But for anyone buying a KitchenAide stand mixer be aware that there are different hp for the models. If you want a good one you have to get one with the highest hp. I LOVE my Ninja. I don’t know what I would do without it! The big thing on my list: a freezer. Maybe 2 small ones. Maybe one big one. The little freezer in the fridge isn’t adequate. An oddball item: an engraved/decorated pie server that no one would dare walk off with. And always useful little things: dish towels and wooden spoons and quality knives (paring and bread especially). I have a blender and never use it; I’ve never owned a food processors and don’t much see the need for one. I prefer to use muscle-powered prep whenever I can. 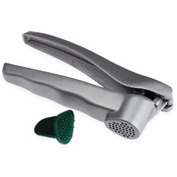 Last year for Christmas I asked for that exact OXO veg peeler and one of those can openers that takes off the ‘top’ not cuts into the can (no sharp edges!). This year I got an immersion blender. Haven’t used it yet, but it was $20 at Aldi and had quite a few attachments and knock wood all the small appliances I’ve purchased at Aldi over the years are really great quality. 1. Digital Pressure cooker which can be used as a crockpot also. Makes great stock as well as rice puddings and all the stuff pressure cookers make. And they are entirely safe and tell you when there is pressure in the container. As Alton Brown would say, “Think multi-use!” Oh and I have stick blender which I very seldom use. 2. Ninja with the food prep unit – slices, grates, etc. 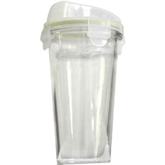 Use it to prepare a base smoothie recipe (Breakfast Essentials, protein powder and a smoothie powder with 1% milk) which we store in the fridge. Then add the base to spinach cubes, pinapple cubes, apple slices and a flavoring extract like strawberry for our individual smoothies. 3. Electric knife – I use it from cutting bread cubes – then dried – for french onion soup, cutting meats and I always refrgerate my Quiches, flip them onto a cutting board and precut the quiche slices – works great because you don’t have to butcher the quiche when removing a slice. It even is great for slicing freshly made bread. 4. My cooking plate/griddle is not cast iron – it’s aluminum. Works great and makes the grill marks you like to see on cooked meats. And I do have kiln plates which I use in the oven which will take any temperature shock and will work to over 3,000F – not your averages oven temperature. 5. A taco press – at least 8 inches – can be used for all sorts of things like we put a chunk of bulk pork sausage in a plastic bag and press it for frying. 7. 12 inch cast aluminum (?) fry pan. And a small non-stick fry pan. And we have a wok-pan which we use less frequently but it is still handy for cooking many foods. 8. Cheesecake pans are usefull for cooking a variety of foods like quiche and breakfast strata. 9. We use a very large rectangular pan on the bottom rack of our oven – again aluminum – and keep it filled with water. It keeps food moist while you bake it and adds moisture to your home in the winter. 10. Our dishwasher is an essential part of our kitchen and we use it as many as 3 times a day when we are doing lots of baking or blending recipes. For us it is a gold standard for cleanliness. Once we remove a utensil or baking pan, it always goes through the dishwasher before returning it to it’s rightful place. Drop a spoon on the floor – into the dishwasher it goes. And we always keep clorox nearby for our dishpan which we use to stage dishes for the dishwasher. Food safety is our highest goal. 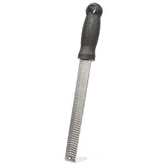 Regarding your aluminum fry pan…Do you know that aluminum is porous when heated? Bits of food, etc,. can get trapped inside after the pan cools. Just thought I’d mention this. I also have a Ninja Blender with the processor bowl. I love it and use it almost every day. I use it on lots of heavy duty tasks like making peanut butter, smoothies with frozen fruit, and even making homemade crackers. -I have a KA stand mixer that I like, it has lasted me 11 years now, but gets used only about 1-2 times a month, mostly for baking. -Got rid of my breadmaker due to space, poor bread quality, and the ingredients got too expensive to use it regularly (a loaf of bread from the store is much cheaper and lasts longer). 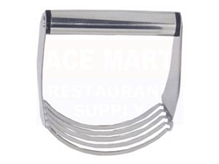 -One of my faves is an apple slicer, a round thing with handles that cuts the apple into slices in 1 swipe. We use that almost every day. -I use the toaster oven and crock pot all. the. time. -My coffee maker and espresso/cappuccino maker both have prime spots on the counter and get used daily, sometimes 2-3 times a day. (1)My number one item is my enamel cast iron Dutch oven. 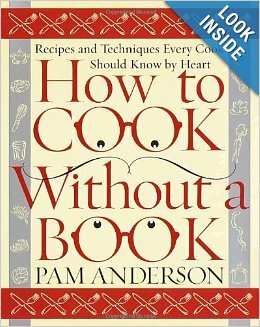 I use it nearly every day and it has transformed my cooking. I even got a smaller one to use instead of my regular sauce pans. I absolutely love it! (2) I also love my cast iron skillet. I inherited it from my grandmother and am so lucky to have it. (3) I agree with the baking stone. I have a round one and it is my go-to in the oven. If I need something bigger, I like my basic chef’s sheet pans with a Silpat liner. (4) I feel so lucky to have gotten a Kitchen Aid mixer back when they were making them well. And we got a high hp model so it can handle everything. If I ever wear it out, I’ll replace it with a Bosch, probably. (5) I have a Japanese chef’s knife that is my right hand in the kitchen. I use it with a bamboo cutting board that works for now, but I would love a really good board some day. (6) My crockpot is not used now as much as it was back when I used cream of ____ soup and IQF chicken breasts, but I’m still putting it to great use making chicken stock! I make stock in it weekly and that has made such a difference for me. (7) My freezer is essential. I have a medium-ish chest freezer, but my desire is to have an upright. I would dearly love to have a simple refrigerator-only and upright freezer matched set. I never have enough refrigerator space! I think those are my biggies. I have a food processor, but I never use it. I really should get in the habit of using it more. It would speed things up considerably! I’m thinking about rearranging my counters a bit and making room for it to be out to see if that would help me use it more. Thanks for a great post! -my Keurig. Hands down #1. -my Füri rocker knife. It. Is. Amazing. Also, there’s that dual zone wine chiller… Because Pinot noir really IS best at 65 degrees! Another wonderful and inexpensive Chef’s knife ($35) is the Victorinox. 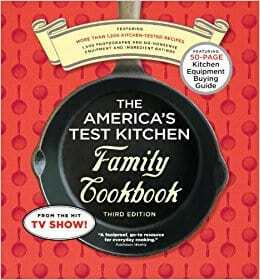 (Maker of the Swiss Army Knife) It was recommended by Cooks Illustrated and also the TV show, America’s Test Kitchen, which is the same company. (They use it exclusively in their kitchens.) I’ve had mine for years now and it’s still as sharp as it was when I bought it! Katie Its like you made your list straight from my Christmas and birthday wish list. Hoping I’ll get a few of these this season. Thank you for great options. Stickblender. Hands down most awesome kitchen thing. Coming in very close behind is my cheap blender. Instapot is nice but crockpot will never leave. 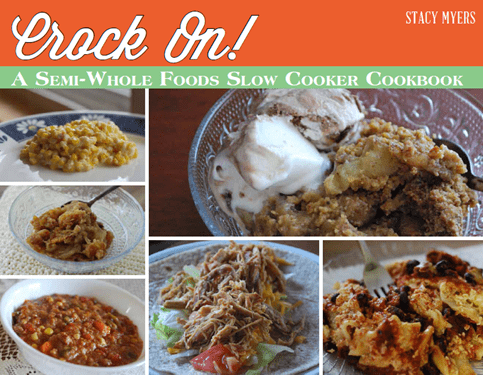 Instapot does slowcooking, but not lIke a crockpot! And i like the bigger oval crockpots too. And an instapot burns anything with dairy in it, even parmesan cheese added to spaghetti sauce. Major bummer compared to a crockpot. Oh dear Helene, I haven’t found that at all when I add cheese, but I don’t think I’ve done it very awesome. On the slow cooker function or regular pressure cook? I love the huge roasting pan I inherited from my Grandpa. We cook 24 lb. turkeys in that thing! And I can use a higher temperature, cook faster, eat sooner! I also cook soups and stews in it. I have the Bosch mixer and blender. Love them! When I get back to bread making, that will be used twice a week. It handles five loaves at once! I accidentally put too much flour in my Kitchen Aid and it broke… The blender get used frequently for coffee drinks or smoothies. Crock pot and rice cooker we use all the time. Until we get all the parts for my stove, I am enjoying the electric skillet for sauces and frying. I have the Pampered Chef 9 x 13 casserole stone and 9 x 13 pizza stone. It’s hard to burn anything with those! French press for coffee! I usually do cold brew in the refrigerator overnight. Pour it on ice with some half and half. Takes up less space as the coffee maker. Easier to clean. Of course I love my wooden cutting board! Pepper grinder and pink salt grinder. I even have a cinnamon grinder and nutmeg grinder too! Best of all, I enjoy coming home to a meal prepared by my children! (Ages: 28, 21, 19, 16 and 12) Everyone knows how to cook or prepare something! Hi Katie! I love your site! I am thinking of asking my husband for some of your ebooks for Christmas this year. Do you have any plans to offer Christmas sales on your ebooks?